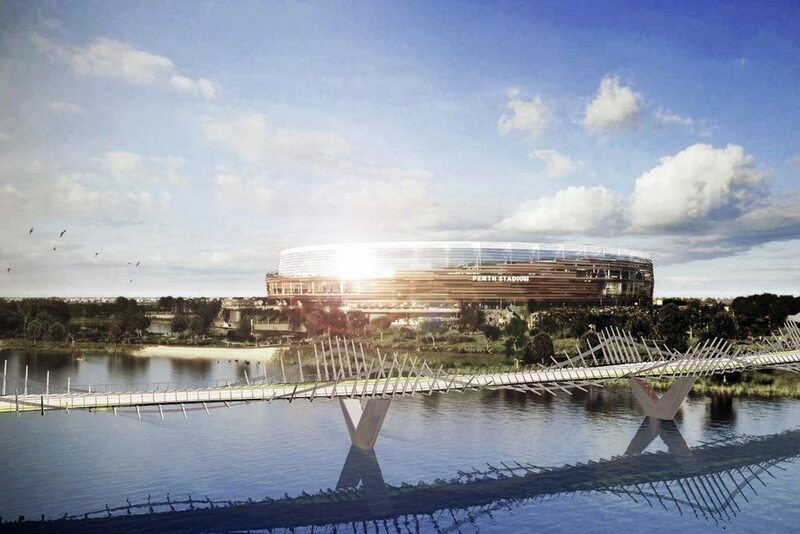 The bridge is designed to connect East Perth to the Burswood Peninsular across the Swan River, servicing large crowd movements to the new Perth Stadium and local users between events. 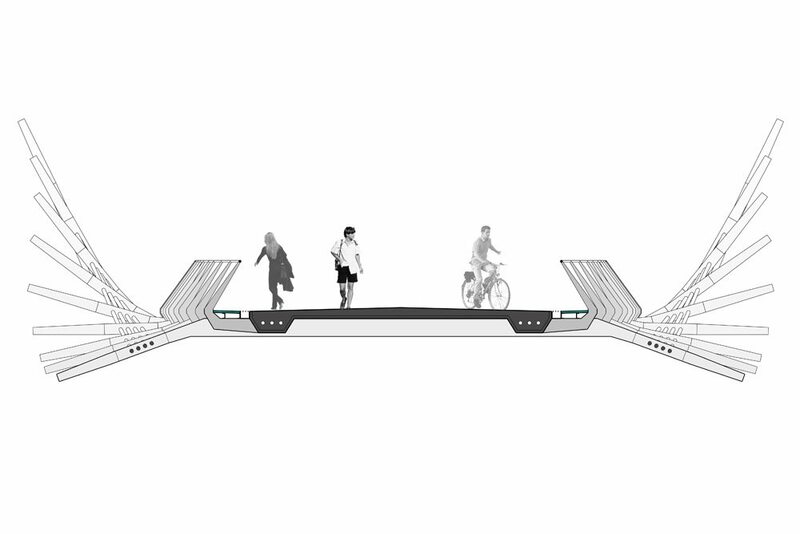 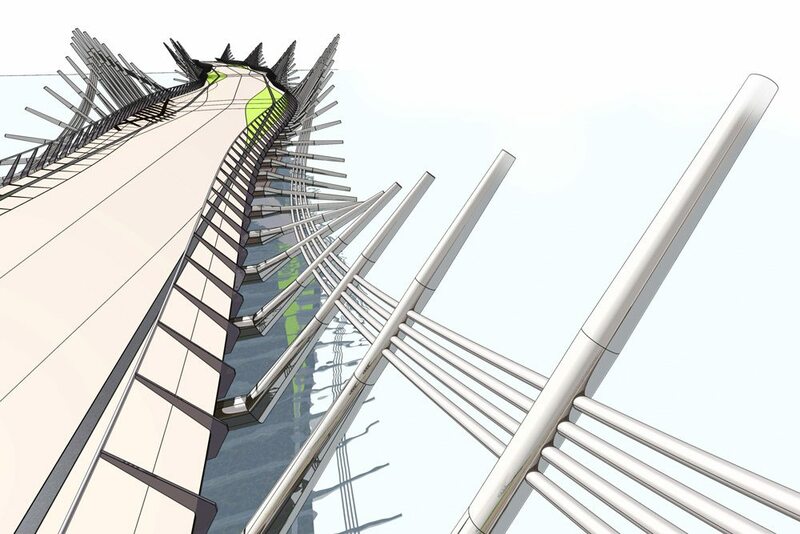 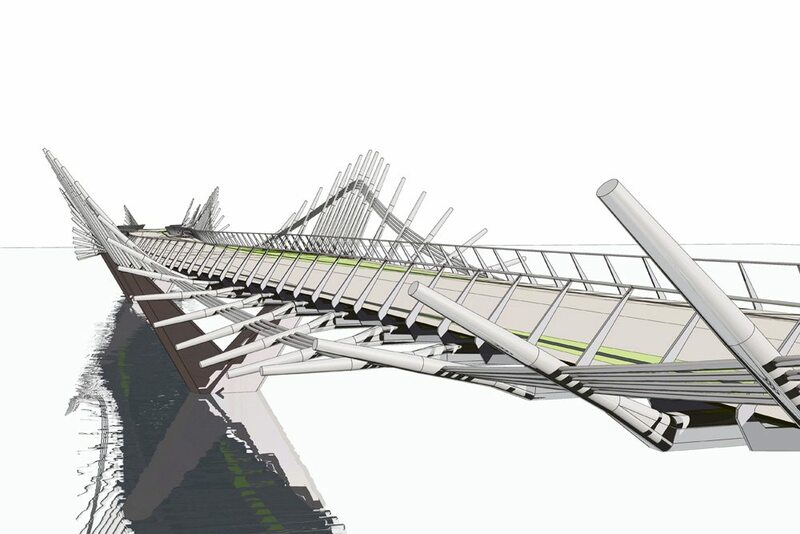 The design is configured as 500m long, multi-span suspension structure with six piers and spans of around 70m. 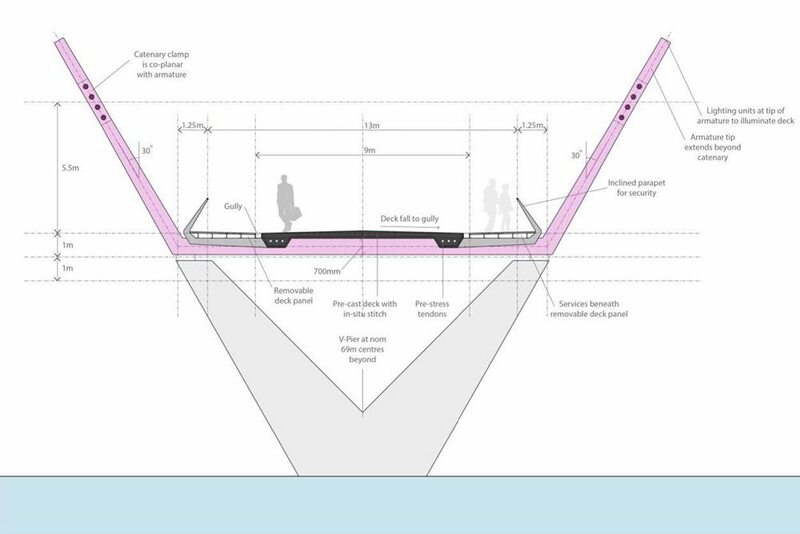 The deck follows an 800m radius curving alignment, with an undulating deck profile swelling at each pier location to provide a series of amenity spaces over the river. 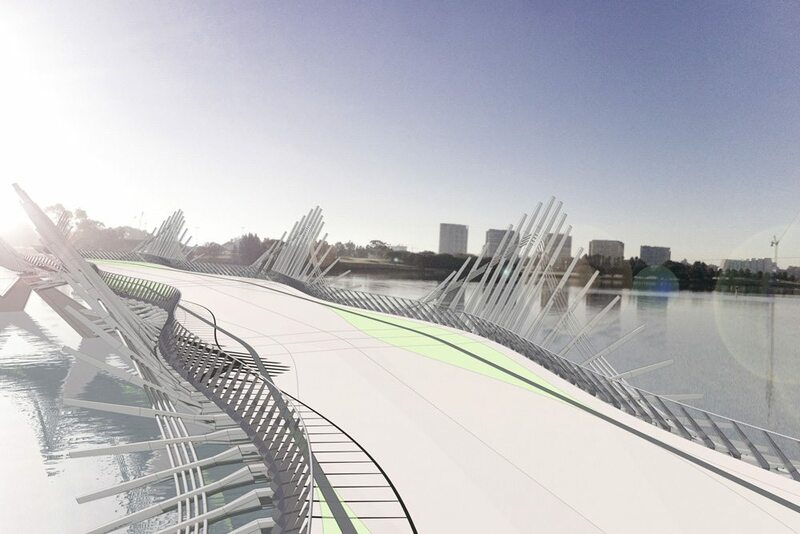 Low profile suspension cables on either side of the deck are clamped with raking armatures that create ‘waves’ of structure, referencing the rich birdlife and aquatic species (rays and sharks) of the Swan River.